Our boutique dental office is located in the WSECU building at 1500 Fairview Ave E and was originally founded over twenty years ago by Dr. Steven Albright. He has been a leader in the dental community and Dr. Sandy Margoles is committed to carrying forward his patient-first approach. 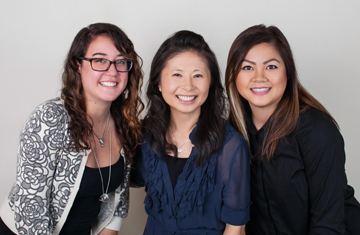 From the moment you step into our office, our goal is to provide you with high quality care. We want you to be comfortable during your appointment. Whether it be an extra pillow or a blanket, we will make it happen. We welcome feedback as we want to ensure we are doing our very best to provide top-notch service. Please fill out a feedback form after your appointment or give us a review online on Yelp or Google+. © 2015 Lake Union Dentistry. All rights reserved.